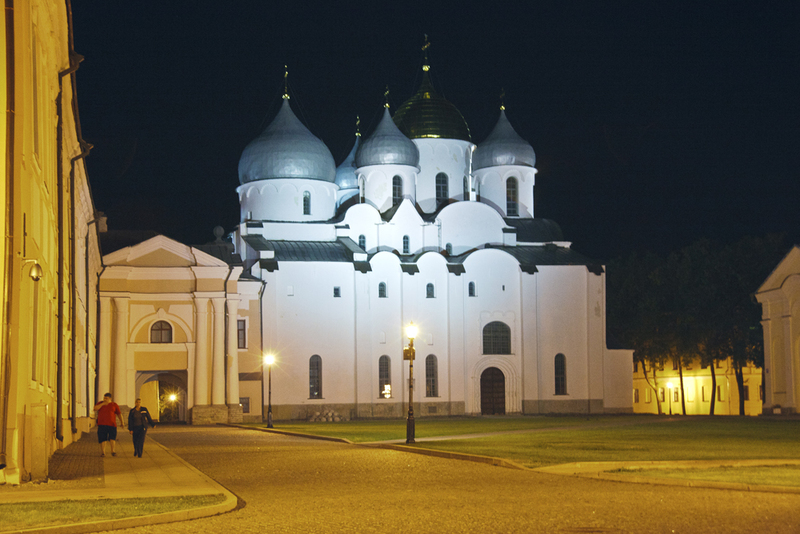 Sofijsky Cathedral is one of the most ancient stone structures in Russia (1045–1050). The imposing cathedral dedicated to Sophia, the Wisdom of God, was founded by Prince Yaroslav the Wise, his son Vladimir and Bishop Luka as a church for the whole city. Eminent inhabitants of Novgorod – princes, bishops and governors – are buried in the southern gallery.